Yep, it's that Frozen, the biggest thing in childrens' animated films since... ever. It feels like LEGO was really slow on the draw with this one and should have capitalized on the popularity of the movie much sooner, but it's better late than never. Help Olaf and Princess Anna have a cool adventure in Queen Elsa’s magical Ice Castle! Hop aboard the sleigh and join Anna and Olaf as they pay a visit to Queen Elsa’s beautiful ice palace for some frosty fun! What will they do first? Play hide and seek behind the secret staircase, or go skating around the castle? They could ski down the ice hill or prepare frozen treats in the castle’s ice cream bar and then get ready for a picnic in the snow under the magnificent icicle tree. It’s all up to you! 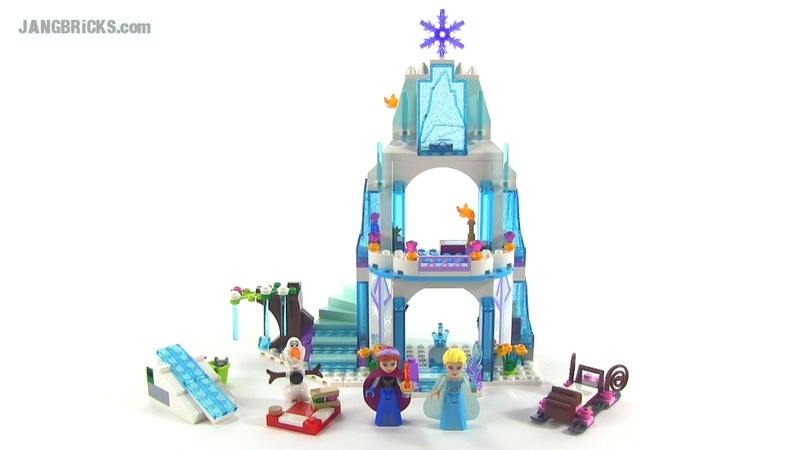 First have fun building Elsa’s Sparkling Ice Castle. Then it’s time to play! Frozen has gotten out of hand!